You don’t have to live in a bad neighbourhood to want an extra level of security when you’re at home or when you’re out and about. Adding CCTV cameras can beef up your home security and give you some much-needed peace of mind. If you have valuables that you want to protect, it’s often impossible to lock everything away in a safe or keep them with you when you leave the house, so it makes sense to install CCTV or a home camera. A home camera is small and unobtrusive, but it'll help you relax when you’re not at home, safe in the knowledge that if anything should happen, it'll all be caught on film. A CCTV kit is easy to use and install. 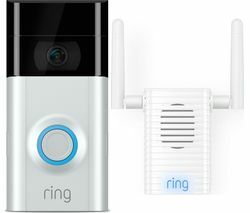 They come with a digital video recorder (DVR) and at least one camera, and most kits will allow you to review or live-stream the footage on your tablet or smartphone. 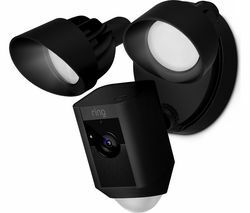 Motion sensing smart cameras are even simpler, as the footage is stored on the camera so there’s no need for a recorder. For CCTV you can rely on, check out the Samsung CCTV range, and if you’re looking for a top of the range CCTV camera kit, take a look at the Twin Swann DVR4-4400. Whether you’re looking for a simple home camera, or a complete CCTV setup, you’ll find a home security system that fits your requirements.